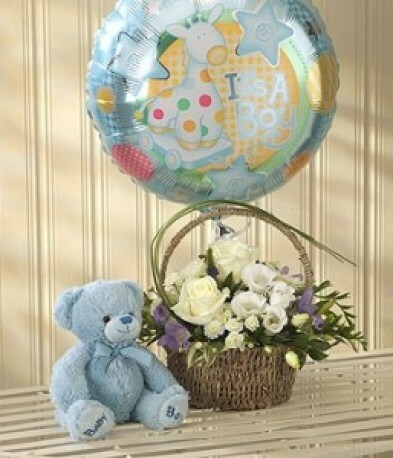 Send your congratulations with this beautiful basket arrangement, perfect for a delivery to a hospital. Containing Roses, Lisianthus, fragrant Freesia and spray Chrysanthemums. Balloon and teddy included.